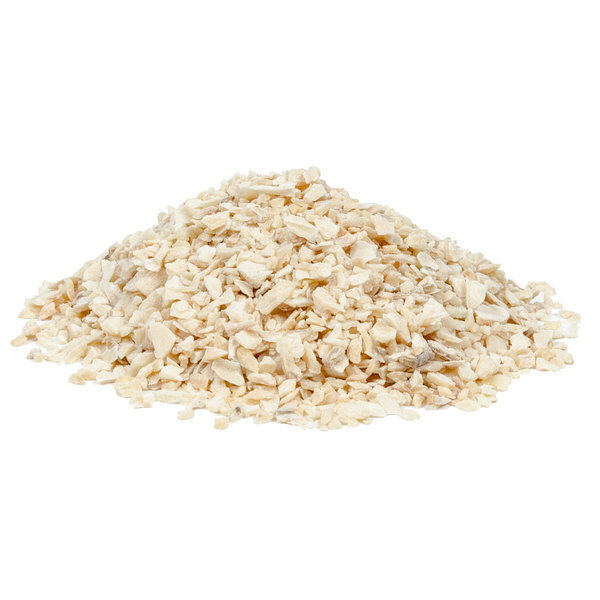 Regal Minced Garlic - 16 oz. 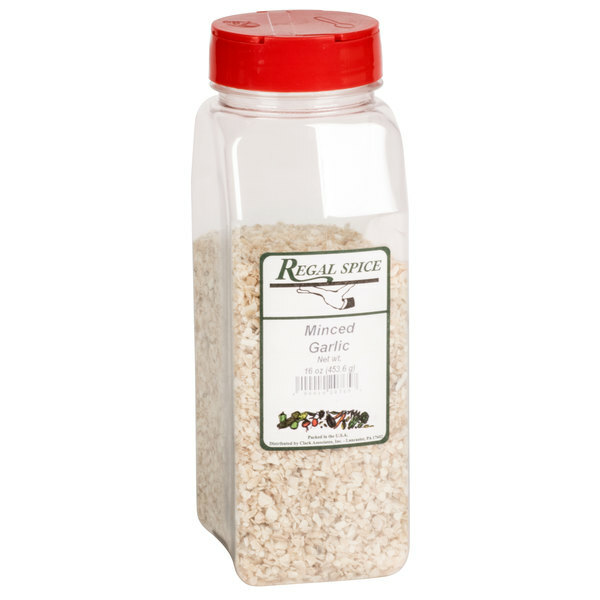 Use Regal minced garlic to season crusts, toppings, and sauces at your restaurant or pizzeria. A 16 oz. 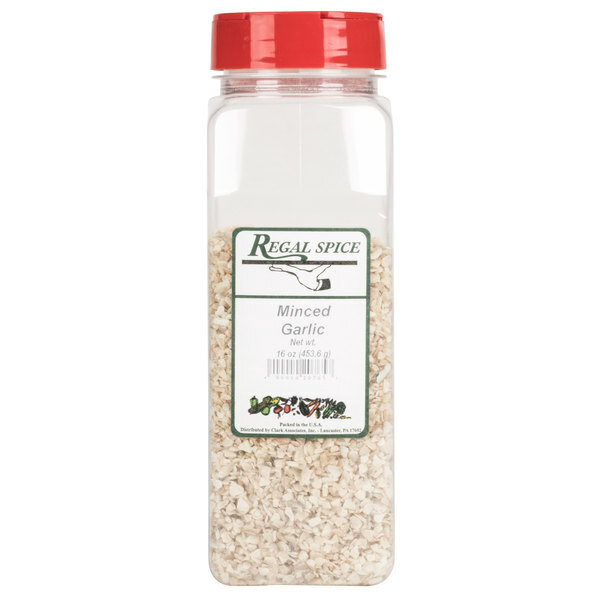 container of Regal minced garlic offers a pungent and spicy flavor that will take your favorite dishes to the next level. A member of the onion, chive, and leek family, garlic is a pantry staple that adds texture and can be used in tomato-based sauces, marinades, and soups. Whether you run a restaurant, pizzeria, bistro, or food truck, a pinch of minced garlic is the perfect addition to all of your signature menu items. "This garlic tastes like fresh minced garlic once rehydrated, it has no bitterness and a bit of the nutty flavor of roasted garlic. It retains a bit of texture so it stands out in our garlic cheeses. An excellent product." The pungent and spicy flavor of garlic is perfect for barbecued ribs, chicken, or burgers. This spice also works well with sloppy joes, chili, or hot dogs. Because this spice is already diced and ready to go, a few shakes of the container will quickly and efficiently season your food. Dehydrated spices also last longer than fresh ingredients and are easier to store, making them the perfect addition to any busy, high-output kitchen. Regal Herbs and Spices are a smart addition to any kitchen. This handy 16 oz. container is easily accessible for your cooking and seasoning needs. Be sure to check out our quantity discounts for even better wholesale savings! 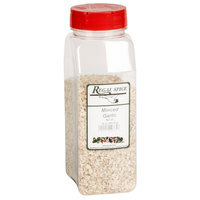 Item #: 102707657 Regal Minced Garlic - 16 oz. Item #: 10207347 Regal Onion Salt - 16 oz. 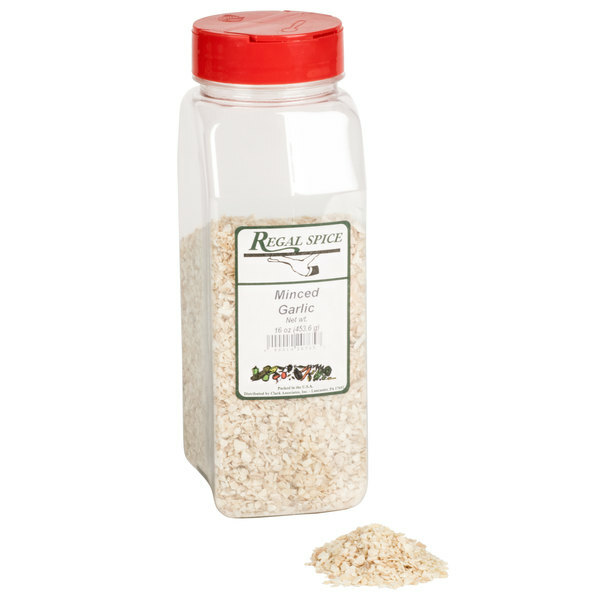 Item #: 10207324 Regal Garlic Salt - 16 oz. 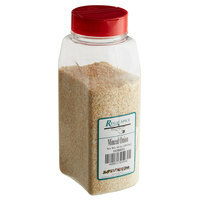 Item #: 10200093 Regal Minced Onion - 16 oz. Overall User Rating: Regal Minced Garlic - 16 oz. You CANNOT have too much minced garlic in your kitchen pantry (or garlic powder, minced onion/powder, celery flakes/seed)! At these prices you can afford to increase the flavors in your cooking! what a find! I grind up spices to make spice blends in my business. I prefer to use this minced garlic instead of garlic that is already powdered, because the flavor is fresher when I grind it. 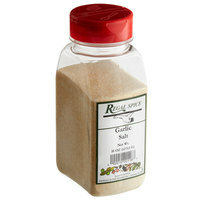 Minced garlic is not that easy to find, and it is very expensive in small jars when I do find it. I hope they keep the stuff in stock! Great value on minced garlic. We use this on our pizzas and are very happy with the results. Great taste at a great price, get yours today. After trying this, I'm never buying garlic in the grocery store again. If I want fresh garlic, I can grow it myself. Nobody offers a better value on dried minced garlic, I checked. Garlic is powerful, just what you want in cooking. Add a small amount and adjust for flavor as it can become spicy. Wonderful, rich, flavor. Fresh, aromatic and you can't beat the Price! Use Regal Minced Garlic in my Dip mixes and have been very pleased with the flavor intensity of the Garlic. A must have for our recipes! 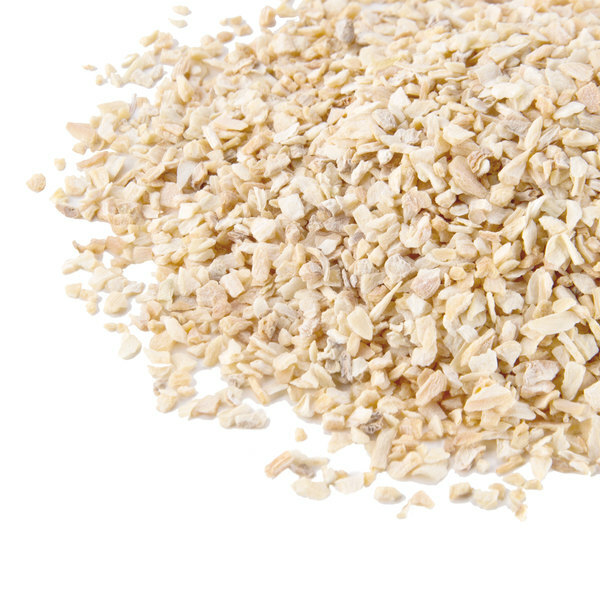 It offers the perfect flavor of garlic needed for our mixes to be complete. Great quality and quantity amount for the price! We use all of the seasonings from webstraunt store.. they are great value and a wonderful product as well. We use a lot of this, so the large container is great. I love this minced garlic! Aroma and taste almost like in fresh garlic but with no work! After you start using this one, it will be hard to come back to raw garlic! There is a slight - but distinct - artificial flavor to this. It's also not as flavorful as fresh garlic, but the fact that it's dried makes it more versatile. If you're looking for slightly smaller pieces, it breaks down easily in a cheap spice grinder. The Minced Garlic was delivered sooner than expected. It was very aromatic. Thought I'd try using it in my Dip Mixes because the price was very reasonable compared to what I usually pay. Will definitely buy again. Unless your a vampire you're going to love this container of minced garlic. The size is huge and the container will last a long time. I have ordered dried garlic before from other places but this blows the other companies away. It is strong and that is how I like it! This garlic tastes like fresh minced garlic once rehydrated, it has no bitterness and a bit of the nutty flavor of roasted garlic. It retains a bit of texture so it stands out in our garlic cheeses. An excellent product.